Here in our blog, we have already described many ways of speeding up fault location in photovoltaic systems. But there is one rather mundane fault that we haven’t yet discussed: a break in the wiring on the DC side of a module string. 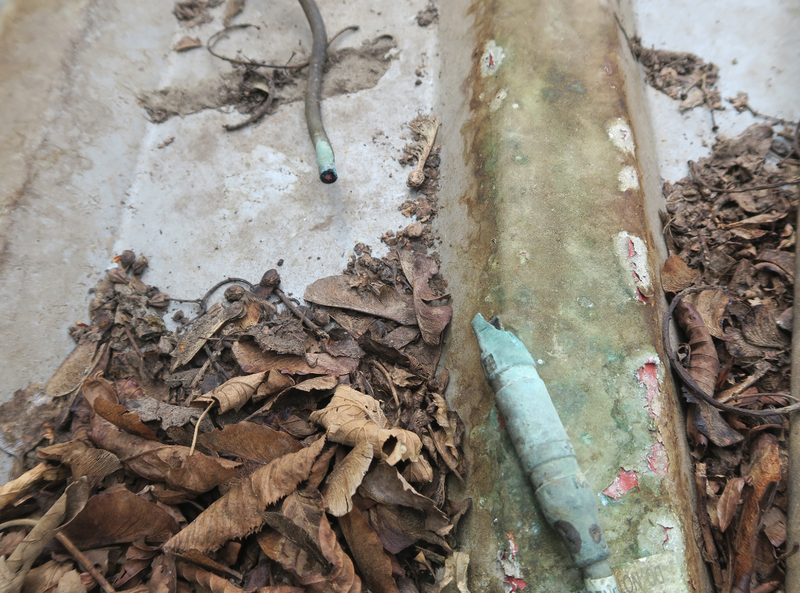 This kind of fault is relatively easy to find. If the string is no longer supplying voltage, there must be something wrong either on the DC line or with one of the connections between the modules on the roof. The interesting part, however, is figuring out how to quickly locate the cause of this type of fault without spending time disassembling entire parts of the system. So this is what I’d like to talk about in this article, which is primarily aimed at the specialist trade. 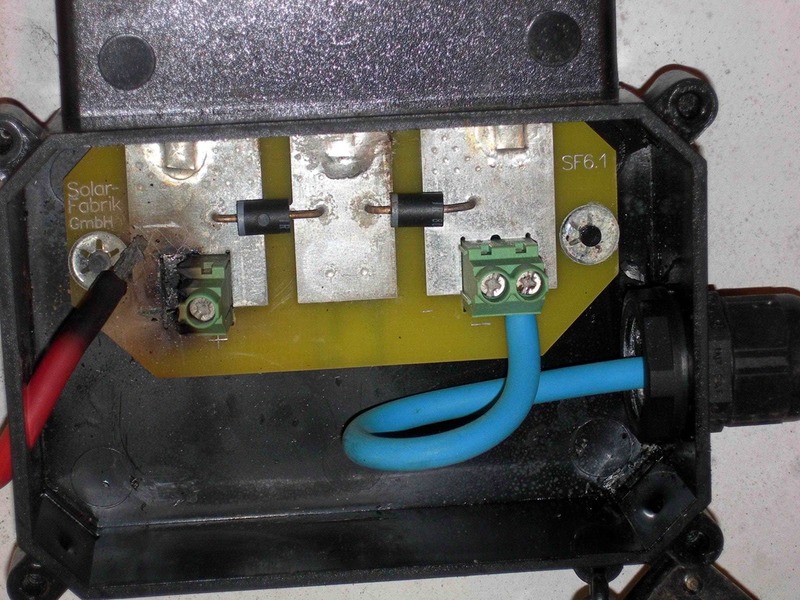 It is not uncommon for an individual string to stop supplying voltage. When it happens, reverse current thermography or electroluminescence are not going to be much help to you. At full solar irradiance, you can use a thermographic inspection to find the string on the roof, since the modules of the problem string will be at no-load and the other system modules (hopefully all operating close to their Mpp ) will be 2-3K warmer. But the location of the string is not really that interesting, especially as you should be able to find it by referring to the documentation. Finding out exactly where the break is can be a nail-biting experience. Has a rodent bitten through the DC line or a contact burnt out in a module junction box? Or perhaps a connector between two modules has come loose. 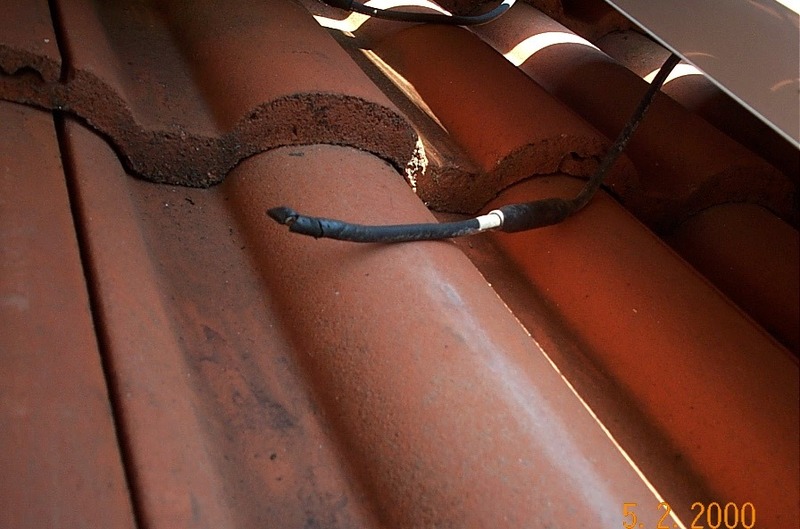 When you are dealing with a PV system mounted on a roof that has not been equipped with proper maintenance access, locating a fault can become a real odyssey, because you have to avoid clambering over other modules and possibly causing micro-fissures in the solar cells. 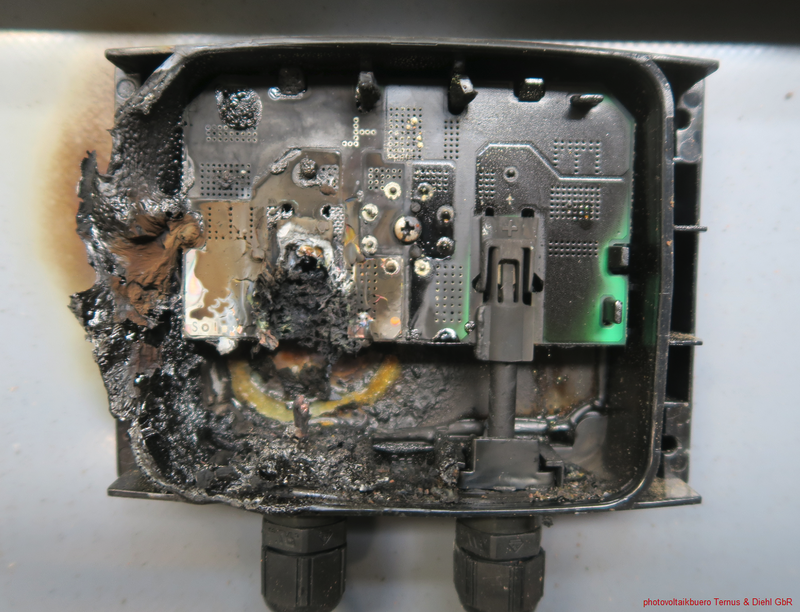 A burned out junction box caused by a manufacturing defect in the box. 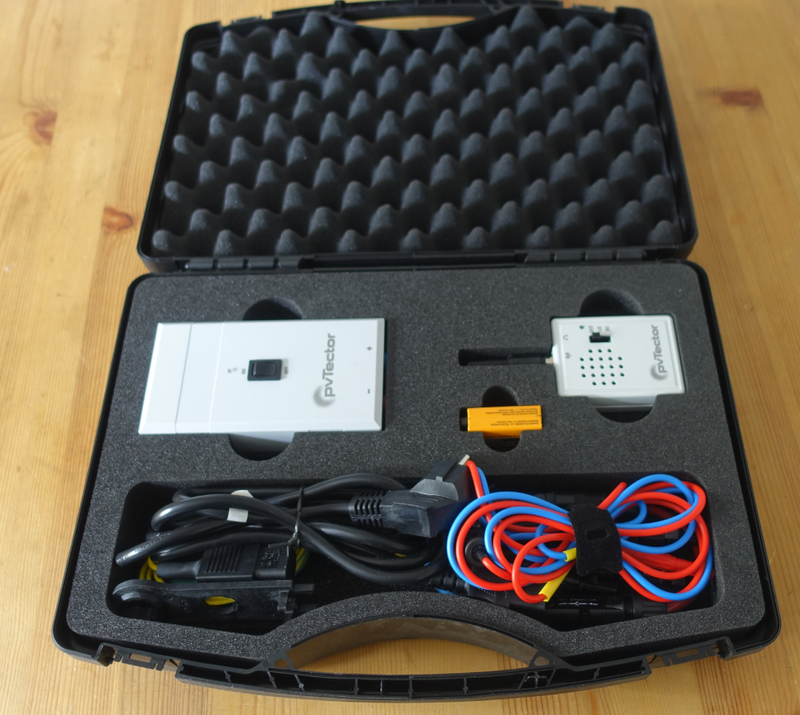 In order to provide a solution for those cases where you need to remove the modules to fix a break in the wiring, we collaborated with colleagues from an engineering office to design a small device that would feed high-frequency signals into the DC line. The special challenge was ensuring that it performs reliably even during the day with string voltages of up to 1000V. A receiver that can be used to listen to the incoming signals is our pvTector. With the aid of this device, pinpointing the location of an open circuit can be done very quickly. The video below describes in detail how it works. If you cannot access the modules directly, you can connect the pvTector’s receiver to a telescopic rod that you then pass over the modules. You know you have found the open circuit when you hear a sudden change in the signal tone. 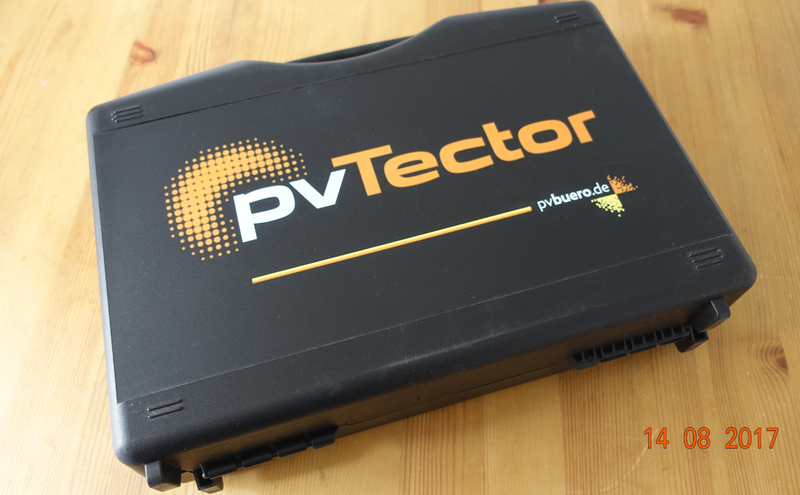 The pvTector is supplied in a case with a few accessories. These devices are available directly from our webshop.